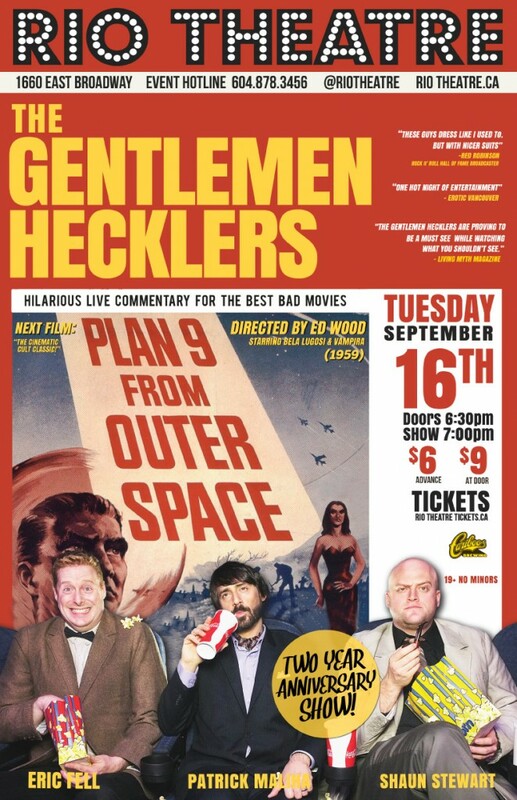 That’s right, for our Two-Year Anniversary, The Gentlemen Hecklers are taking on the Granddaddy of bad films, the classic “Plan 9 from Outer Space!” It’s Tuesday, Sept 16th at 7pm at The Rio Theatre. Not much more needs to be said except for the ticket link, which is made up of these words here! And, of course, our wonderful poster!